Mobile computing devices for commercial, industrial and military applications demand rugged touch screen solutions. Portable and mobile computing devices are in for a rough life. 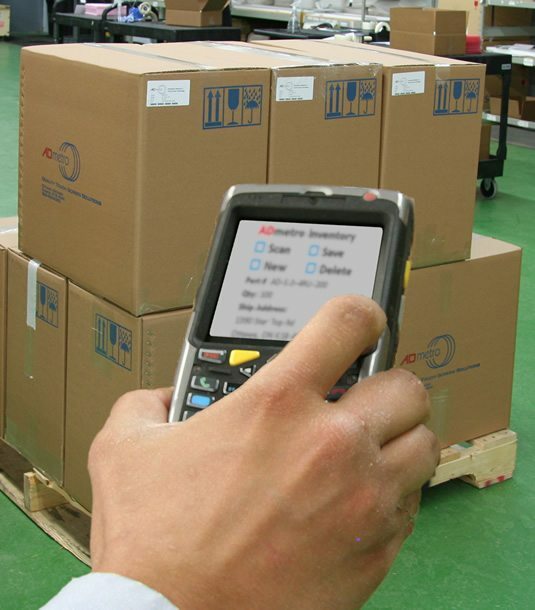 It does not matter if it is a ruggedized military laptop or an industrial hand held computer used by healthcare workers, service technicians, couriers, or for inventory control. If it is mobile and has a touch screen, then it needs to be tough! It will get dropped, thrown and grit and grime will attack the surface. If a stylus gets lost any old pointed object like a pen or screw driver will be substituted. It will get exposed to the heat of the day and freezing at night and you will want the device and its touch screen to survive! For portable mobile computing devices key requirements are often durability, light weight, low power, low cost, an extended environmental operating range, and operation by finger, stylus or glove. A D Metro supplies commercial and military grade touch screen options for portable devices that are durable and robust, low power and can be integrated into enclosures for NEMA or IP65 compliance and electromagnetic compatibility (EMC). Standard resistive touch screens are the popular choice where cost is a priority in less demanding applications. For more durable and rugged applications A D Metro’s ULTRA offers an armored glass surface impervious to water and chemicals, is scratch resistant, with an extended environmental operating range. We also offer custom options for additional durability, reduced weight and enhanced optics.